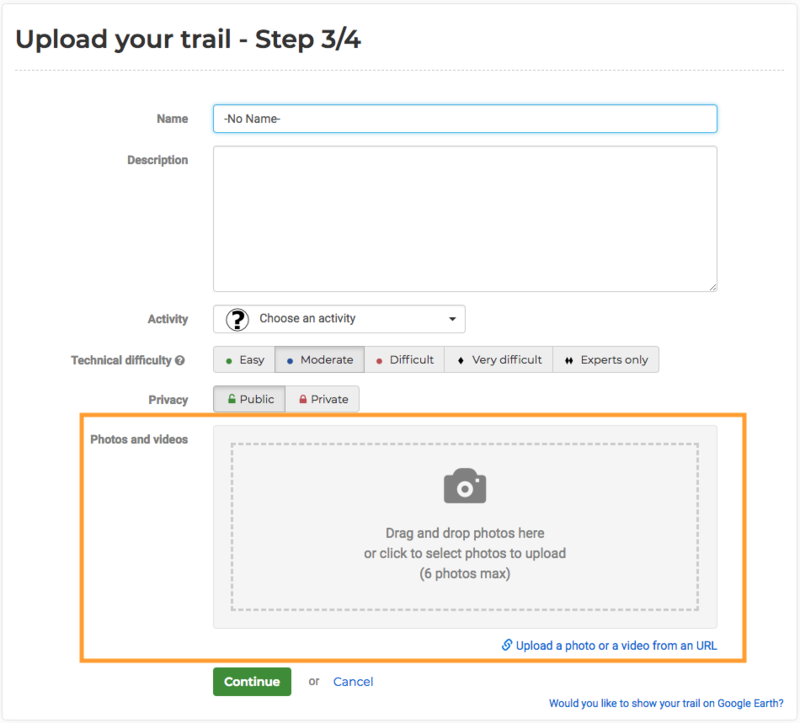 While uploading a trail through Wikiloc's website, you will be able to add up to 6 pictures of the trail. Once you click on the "continue" button, a new similar screen will appear and you will be able to add up to 6 more pictures for each uploaded Waypoint of the trail. You can always delete and add photos to the route or its Waypoints. Wikiloc has a limit of 6 photos per trail and 6 photos per each of the waypoints it contains. So, you must create waypoints to be able to upload more than 6 pictures to a track. We hope to offer an option to reorder pictures without having to upload them again. We are aware that the system to upload pictures must be improved. We'll try to improve it soon.